Add little water & make a soft dough. Allow to rest minimum 20 mins . Using rolling pin, flatten it & heat the tawa, cook it both sides brushing with oil. 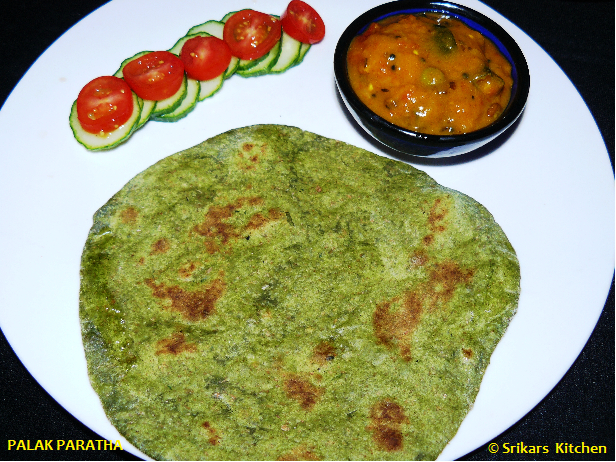 PALAK PARATHA- PALAK ROTI- SPINACH FLAT BREAD - ATTRACTIVE COLORFUL EATABLE. THANKS FOR SHARING. Very healthy and delicious paratha.. looks perfect!